Working Towards Wellbeing people are hands on health care practitioners with strong research and teaching backgrounds. We work with people to improve their health and wellbeing to support them at work or to return to work following a period of ill health. We have over 25 years combined years experience working in partnership with large and small businesses and organisations designing and delivering effective clinical programmes using the bio-psycho-social approach. We work with health care professionals to train them to deliver the programmes to achieve excellent clinical outcomes and a cost benefit for the organisation. Julie is a Chartered Health Psychologist and Chartered Member of the British Psychological Society. Working Towards Wellbeing people are hands on health care practitioners with strong research and teaching backgrounds. We work with people to improve their health and wellbeing to support them at work or to return to work following a period of ill health. We have over 25 years combined years experience working in partnership with large and small businesses and organisations designing and delivering effective clinical programmes using the bio-psycho-social approach. We work with health care professionals to train them to deliver the programmes to achieve excellent clinical outcomes and a cost benefit for the organisation. Nicola is a Chartered Physiotherapist and Chartered Member of the Institute of Occupational Safety and Health. 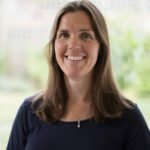 Nicola has significant expertise in the prevention and management of acute and chronic musculoskeletal disorders using a bio-psycho-social and ergonomic approach. Nicola has designed and implemented externally accredited education programmes on the prevention of musculoskeletal injuries and provided consultancy and training to a wide range of industrial and health care organisations. 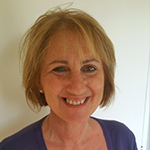 Nicola has a MSc in Pain Management and an Advanced Certificate in Applied Ergonomics. 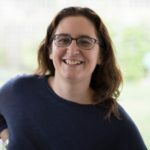 She is an honorary clinical tutor for the University of Edinburgh MSc in Pain Management, a visiting lecturer on the The University of Birmingham Occupational Medicine MSc Programme and a tutor on the ACPOHE Occupational Health and Occupational Rehabilitation and Work Hardening Programme. Nic has an MSc in Physiotherapy and a post graduate certificate in Occupational and Vocational Rehabilitation. Nic is W2W’s Clinical Director of Physical Health. 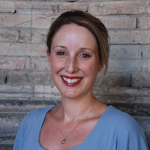 She leads our functional restoration programme with a lead in Pain management. 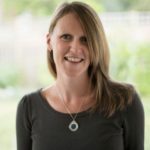 Nic’s background as a consultant in injury prevention and management also gives her an ideal background in our preventative wellbeing service, “My healthspan”. Deborah is a W2W case manager. 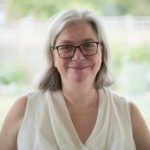 She is an Occupational Therapist who has worked with people with various health conditions for over 30 years, helping them to overcome life’s obstacles. One of Deborah’s patients remarked “The service was excellent. It was so great to speak to a very skilled group of people who were so supportive and totally understood my situation. I found their advice invaluable.” She has worked in various clinical settings and is experienced in working with people with a cancer diagnosis as well as other chronic conditions. Melanie is a W2W Case Manager. She is also an Occupational Therapist with experience in Oncology, Palliative care and Mental Health. Jess is a W2W Case Manager and a qualified Occupational Therapist. Sara is a W2W Case Manager. She is also an Occupational Therapist with experience in health coaching, health behavioural change and Mental Health. Angela is the lead W2W Physiotherapist with many years of experience in Oncology and Palliative Care. 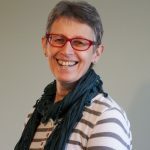 Carol is an experienced W2W Physiotherapist with expertise in rehabilitation following long term illness such as cancer and other chronic illness. 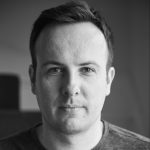 As well as being a Physiotherapist for W2W, Richard runs physiotherapy clinics in Gorleston and Colney. Richard qualified in 2002 from the University of East London. 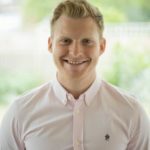 He has worked between London and East Anglia and specialises in functional rehabilitation working with clients following surgery, sports injuries, diagnosis of long term conditions and working with employers to facilitate workers back to work. An experienced Physiotherapist and also has a degree in Sports Science with Exercise and coaching and an Msc in Physiotherapy. Nic’s background as a consultant in injury prevention and management gives her an ideal background in our preventative wellbeing service, “My healthspan”. 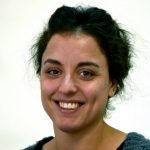 Anna is a musculoskeletal physiotherapist and has her MSc in Advanced Physiotherapy. 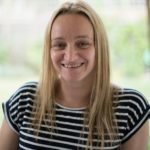 Nicole is a CBT Therapist and is a qualified Occupational Therapist as well as BABCP Trained CBT practitioner and an experienced Occupational Therapist. 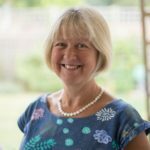 She is fully accredited with the British Association of Behavioural and Cognitive Psychotherapists (BABCP) and works part time in the NHS as well as for Working Towards Wellbeing. 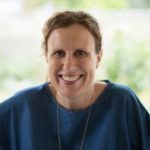 She specialises in supporting people who are experiencing anxiety related to cancer, as well as helping people with more generalised anxiety and low mood. 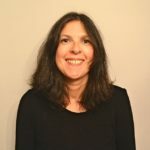 Tania is a CBT Therapist and is a qualified Occupational Therapist as well as BABCP Trained CBT practitioner. 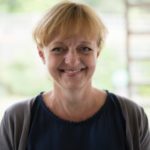 She is fully accredited with the British Association of Behavioural and Cognitive Psychotherapists (BABCP) with 24 years’ experience of working with people with psychological problems. She specialises in addressing problems associated to depression and anxiety including trauma related problems. 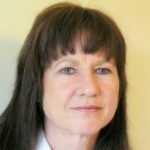 Lorna is fully accredited with the British Association of Behaviour and Cognitive Psychotherapy (BABCP). 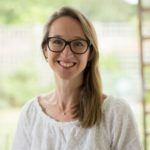 Lorna specialises in anxiety disorders, depression and trauma and has a personal interest in integrating psychological therapy with long term health conditions. Oliver is an accredited nutritionist with the Sport & Exercise Nutrition Register (SENr). He has an MSc in Sport & Exercise Nutrition and a BSc in Sport & Exercise Science. Louise is the Service Development Manager and Lead Administrator. 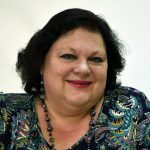 Her experience spans over 25 years in management and administration in the NHS, charities and the voluntary sector and in business and includes quality assurance, training and service planning. Frances joined W2W from Bury Physio but before that was a nurse for many years. Her experience, knowledge and caring approach is a great asset to the admin team. Tracy is a W2W Administrator with many years of experience working in clinical administration and reception. Tracy is an invaluable part of the team to ensure that people have a positive first impression of the service we offer.